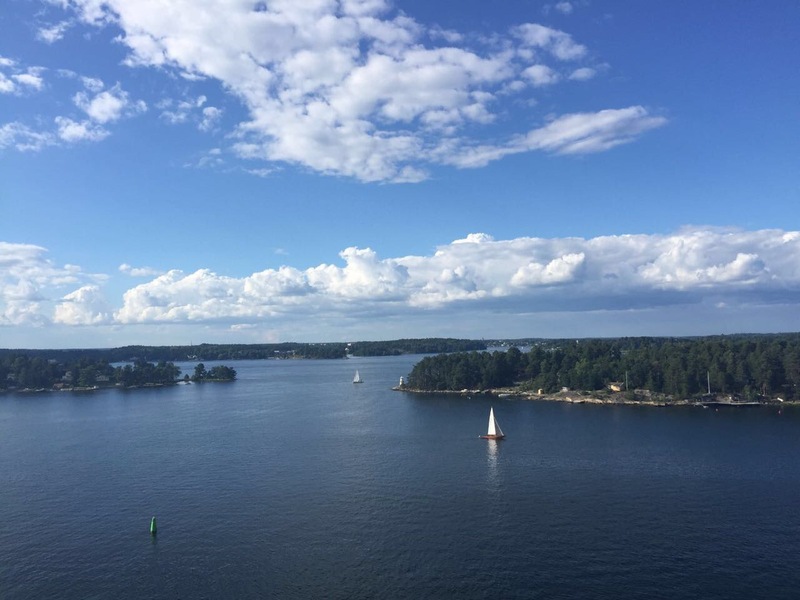 During our cruise ride we got to see beautiful sights of the Baltic and its islands… The cruise from Stockholm to Helsinki was definitely worth it! 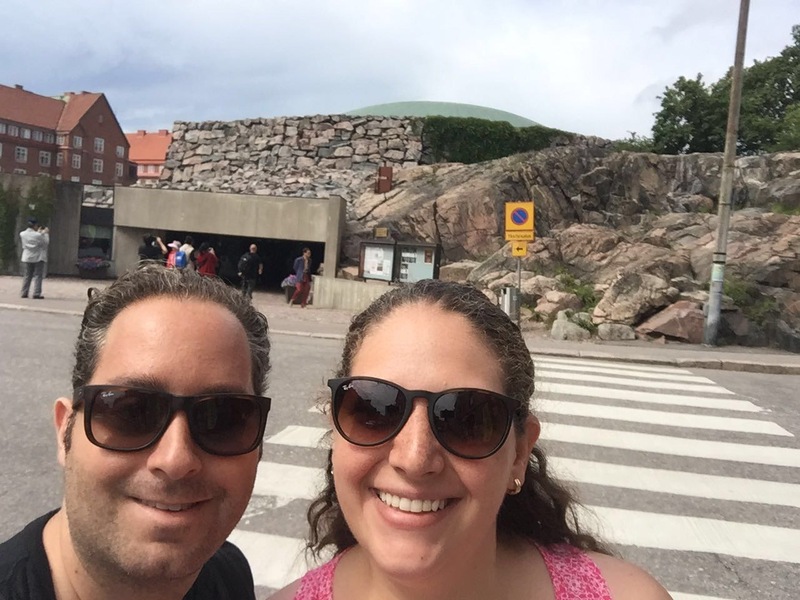 Our first stop in the cruise was Helsinki. Off we went and jumped into the hop on and hop off bus, which was just standing outside of the cruise. 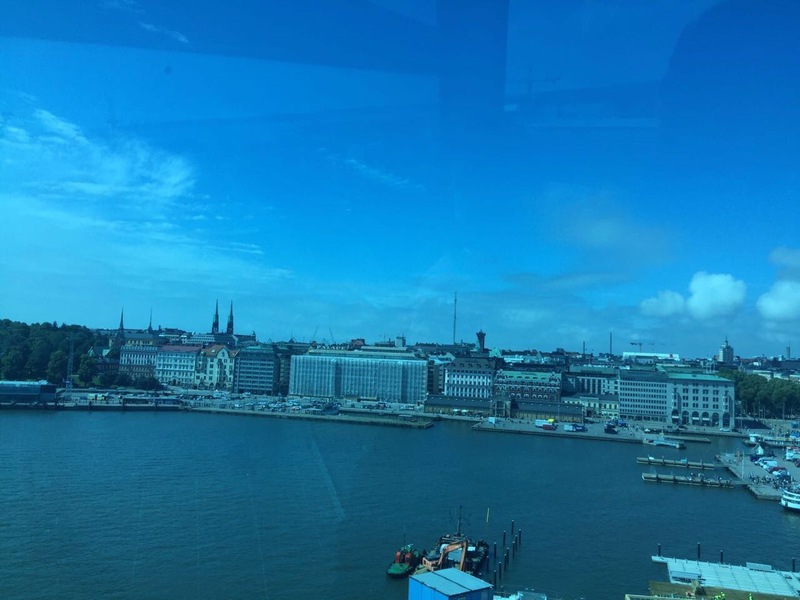 Close by there was the Finnair Sky wheel and we got there mainly to please Jack, but we got to see some nice views of Helsinki. We wouldn’t recommend doing this if it is not for the kids fun… Or unless you love Ferris wheels!! Close by are the ferrys that go to Suomenlinna, a fortress worth seeing! 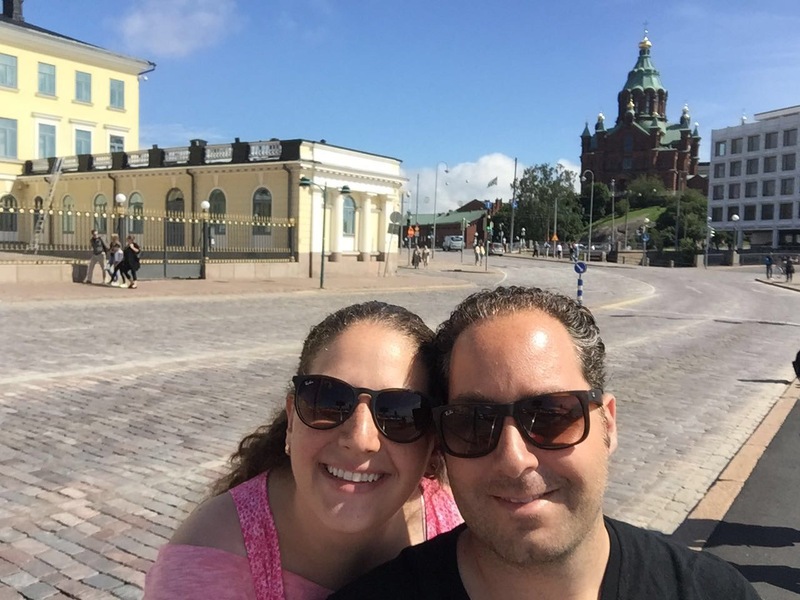 After that we continued our walk and so the beautiful Uspenski Cathedral, it is really a must see! Especially from the outside! Our walk was really pleasant, as the weather was perfect! 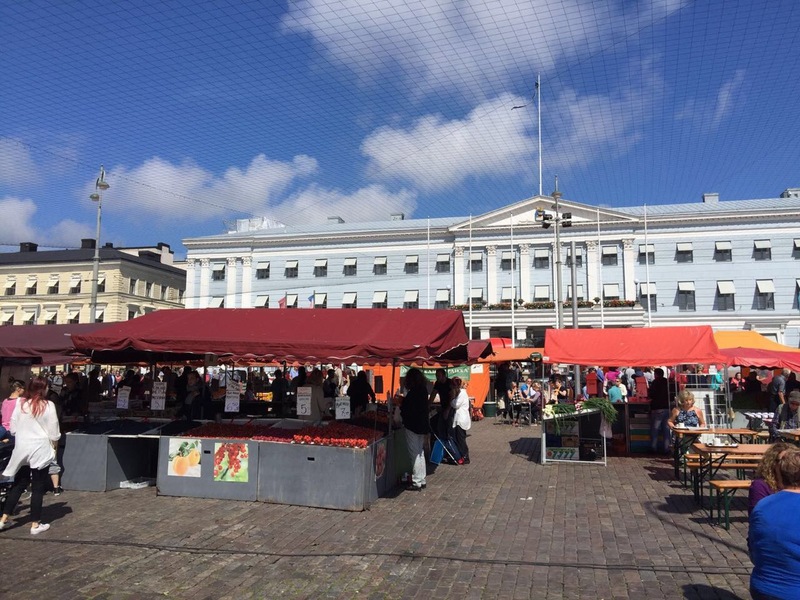 It was sunny and warm, we loved the vibe of the center of Helsinki. There was a very nice park in the middle of the way between the square and the city center and it was full of flowers, kids running around, people strolling their babies, and Jack even got a free balloon! People seemed happy! And, so we’re we! 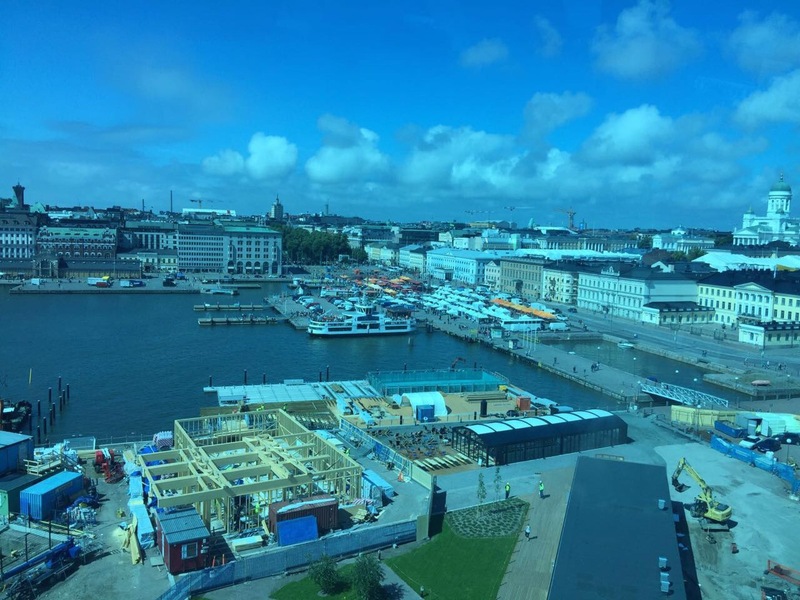 After walking around the Stockmann Helsingin Keskusta Splanadi, a nice walking and shopping area, with its famous department store, Stockmann, where they say that what you can’t find there, you don’t need. 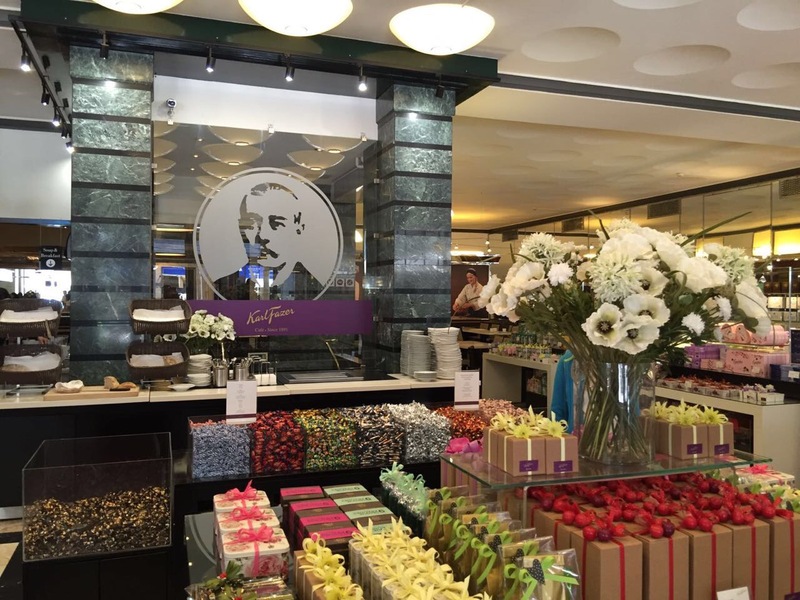 We then arrived to have lunch at a delicious and popular place,the Karl Fazer Cafe. 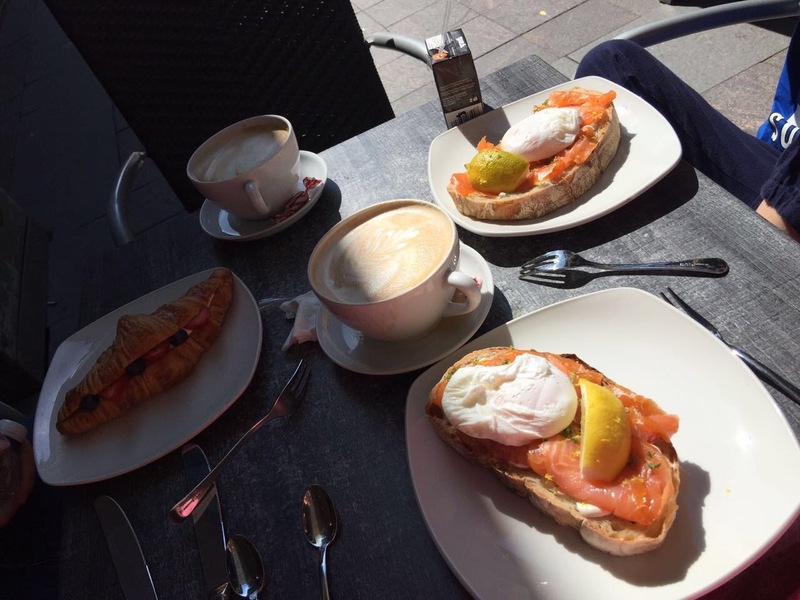 We had a spectacular bread with salmon that tasted as fresh as if it would have been caught just minutes ago… And which had a poached egg on top! That small snack tasted like glory, for a minute we felt like in paradise! 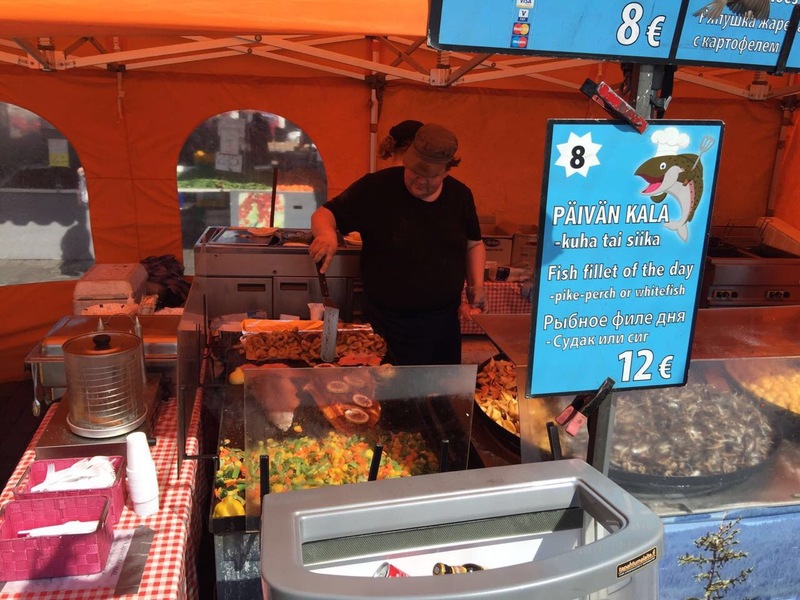 Fresh food, sun, and happy people! We also had delicious coffee, just to sweeten our day a little bit more! And to top it off we ended up by having the very famous Fazer Chocolates! 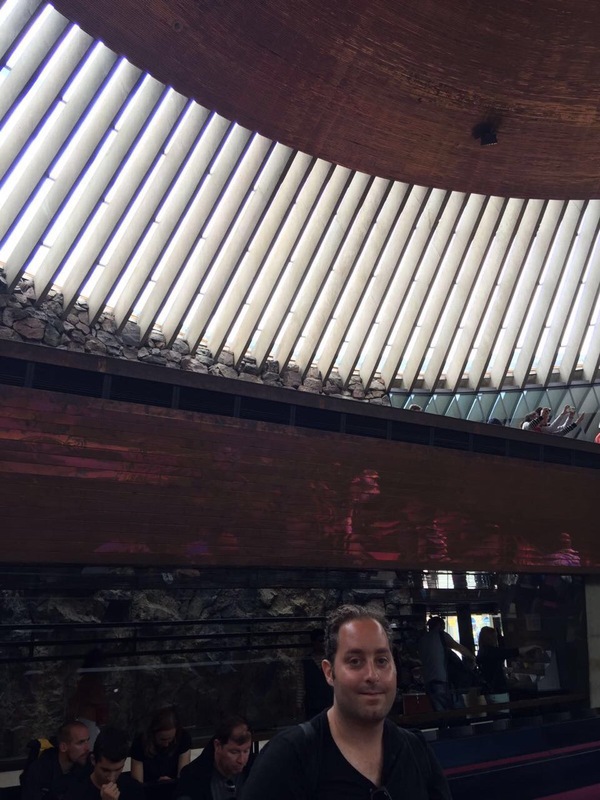 We then went off to the Temppeliaukio church and entered to observe it’s very nice architecture. We then wanted to get in the bus, but it only passes every 30 minutes, so we wouldn’t recommend getting around with the hop on and hop off bus, unless you are willing to wait for a long time. 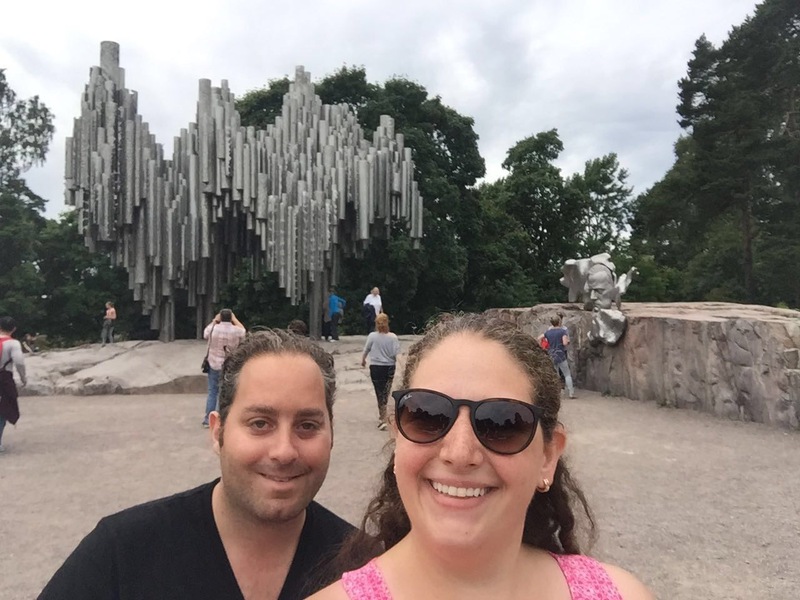 So we finally arrived to the Sibelius Monument after walking for 20 minutes, it is nice and its surroundings as well. There are many green areas around and we enjoyed the walk. After that we grabbed a taxi and went to the Senate Square, which is just blocks away from the market square, were we first had gotten off in, and we enjoyed a lot the magnificent look of it. 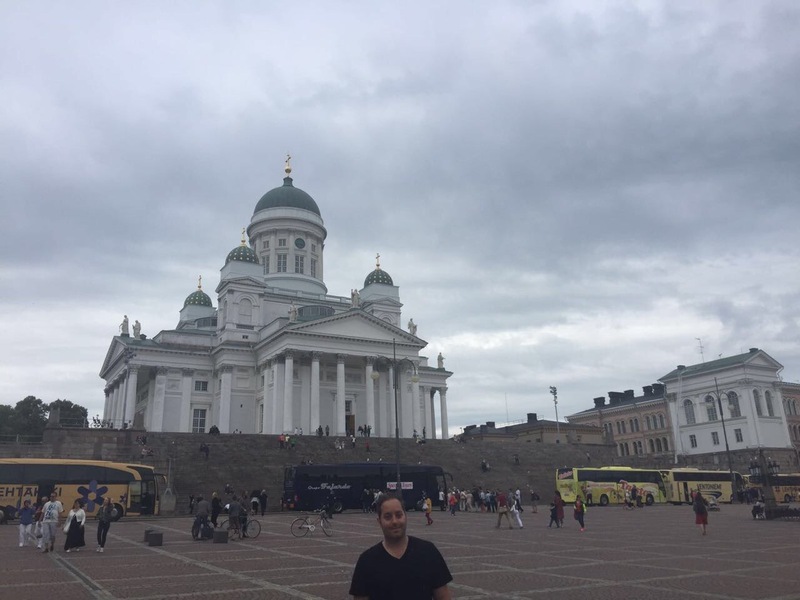 We got to see the Helsinki Cathedral from there as well. 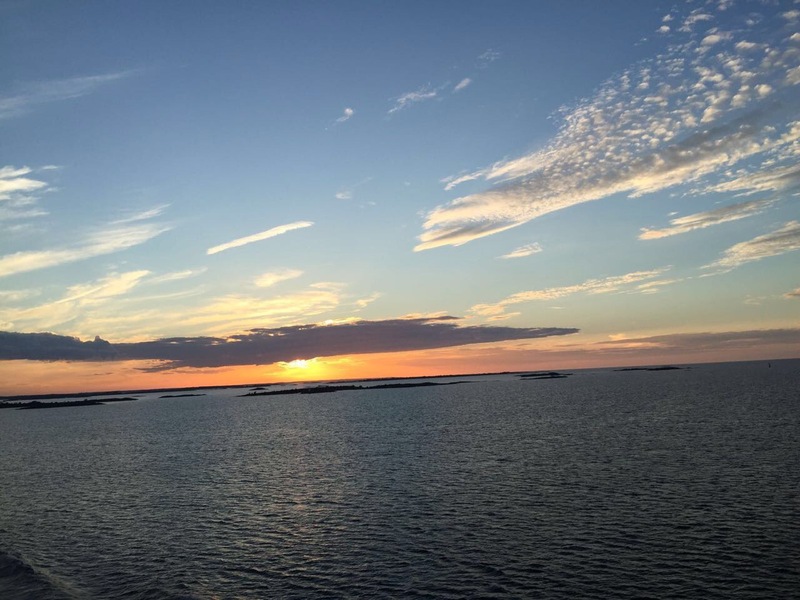 In our opinion the main things to visit are quite close to each other within a walking distance, except from the Sibelius Monument and the Temppeliaukio church. But if you’re willing to walk for a little longer, or take the public transportation, you can avoid using the hop on and hop off bus. The one thing that we loved about the bus was a saying that played there which said “nothing is more permanent than temporary”. 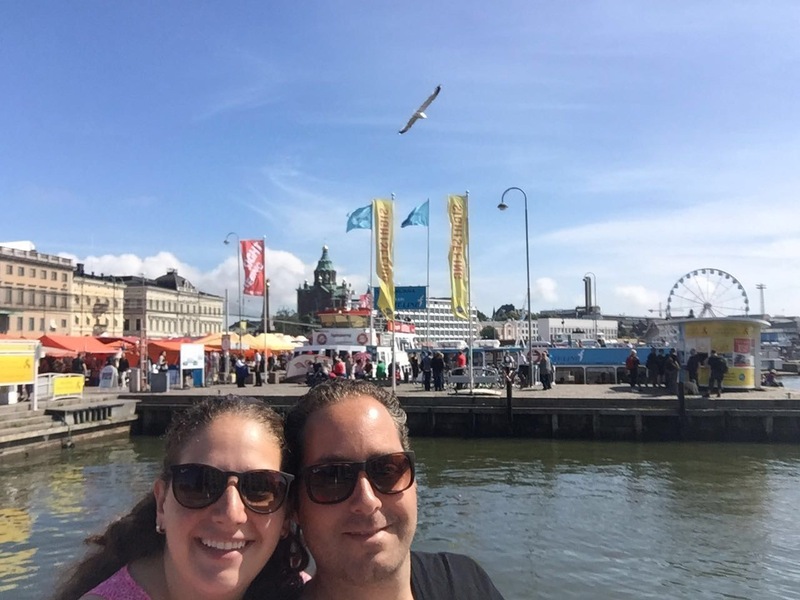 We enjoyed Helsinki a lot!!! 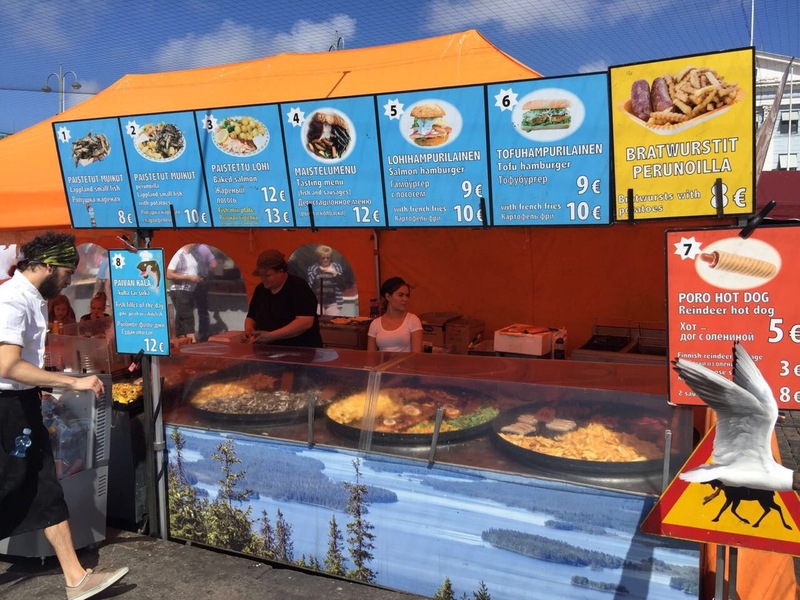 Once more we were pleased with Finland. It sure is a great place to visit! 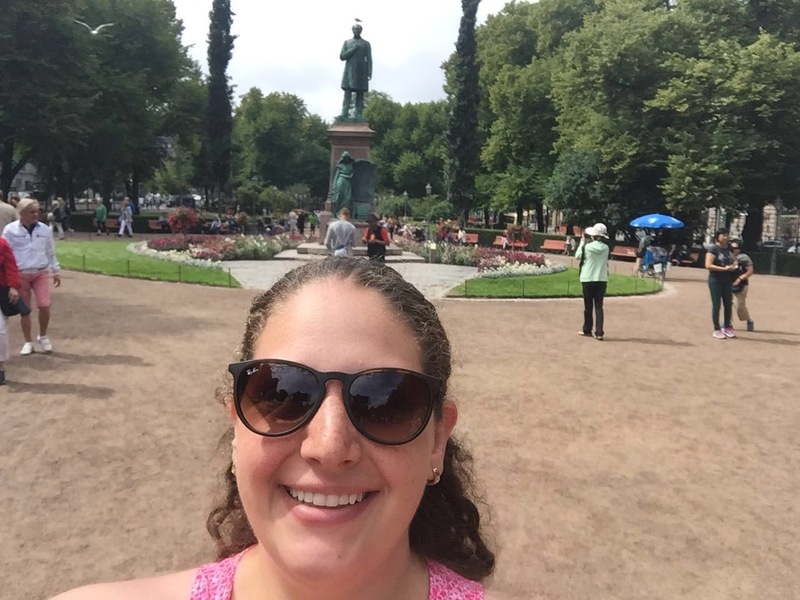 Next Post Tallinn, Estonia… A city like no other!